Get more bang from your buck with these value for money grooming products. In the world of male grooming there is an array of price points – from inexpensive to extravagant. Perhaps the more important thing to consider when picking your products however is value for money. This may mean you spend more money on a product initially, but if you get more use out of it and it does the job better than its cheaper counterparts – you’re getting value for money. Take a look below for Fashion Beans’ male grooming expert Lee Kynaston’s top picks. When it comes to fragrance, longevity is key. And that’s where some of the more expensive brands have got it right. The longevity of a scent depends on various factors, from its concentration to the fragrance notes. This scent has smoky, earthy and leathery notes and best of all, a couple of sprays will last all day. So while it may seem like an expensive outlay at first, it is bound to last longer than cheaper options. Thick, creamy and gentle, this cleanser is hailed as a hero product because it lasts two or three times as long as similarly sized cleansers. A little of this foam goes a long way, so be sure to use it sparingly. Containing skin-soothing aloe, this balm has a light consistency that never feels greasy on the skin. Again, a little goes a long way so go easy on the product. No need to worry about clashing scents either – this balm is fragrance-free. Your body wash is probably the only product you use on your whole body – so it makes sense to invest in a decent product. This cleanser has a great scent and its formula will cleanse thoroughly without leaving your skin feeling tight or dry. The range also includes a body scrub and a body balm, offering some consistency to your routine. Gaining cult status in the grooming world, this product is loved for a reason. Offering hold and texture with a matte finish, this styling product protects hair from water loss, helping it appear fuller. Use on damp hair and work it in with your fingertips. 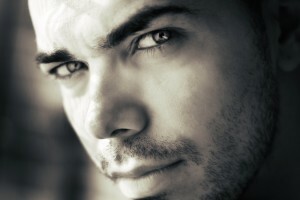 Find out more about the wonderful world of male grooming on our dedicated male grooming page. View and comment on the original Fashion Beans article.